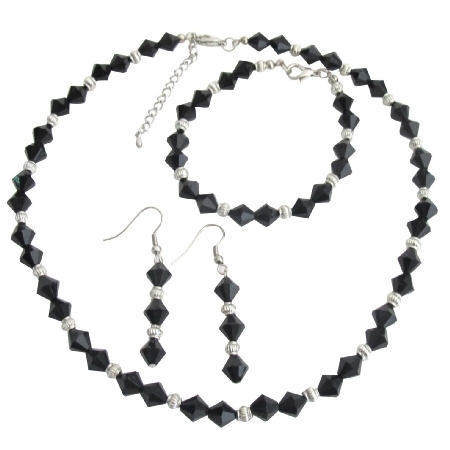 This dramatic & sophisticated necklace earrings & bracelet has gorgeous Black Crystal glass beads with silver spacer. The Lustrous Black Crystals Jewelry Set is so classy! An outstanding reasonable & affordable bridesmaid jewelry set with dangling earrings.